If you’re too lazy to floss, chew gum. Because new research from the Netherlands finds that chewing gum cleans teeth. In the study, people chewed sugar-free gum for up to 10 minutes. Then the researchers analyzed the chewed gum, and found about 100 million bacteria trapped in each wad! That actually makes up just a small percentage of all the bacteria in your mouth, but the reduction is still significant: It can lead to fewer cavities, healthier gums, and better breath. That’s because when you chew gum, it actually cleans plaque and pieces of food off your teeth. 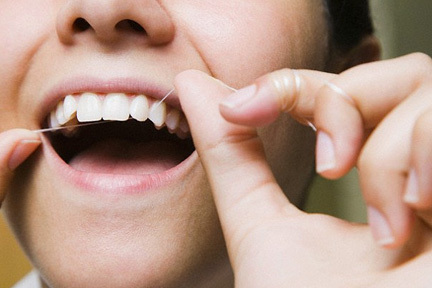 Flossing is still the best way to get rid of bacteria-causing particles… But if you can’t floss, at least chew some sugarless gum.